Dishonoured is one of those surprises that come along now and then that totally redefines the genre it is classed as. In this case the stealth genre. 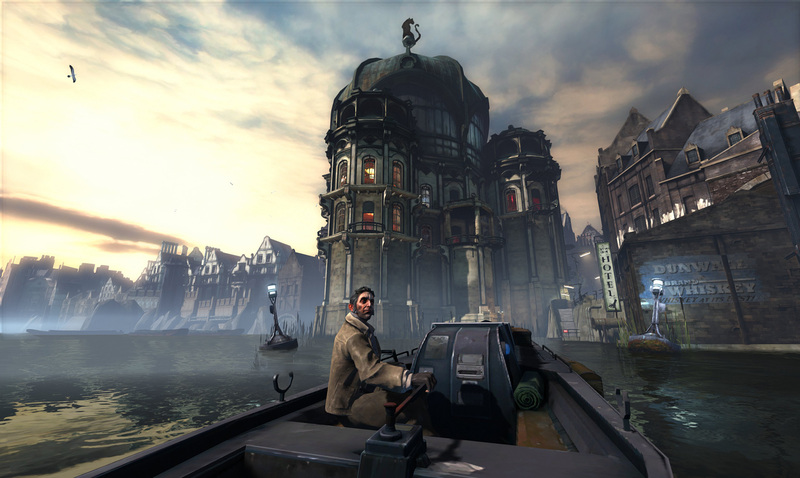 Unlike recent splinter cell games where the layout is more linear Dishonoured gives you a more open-ended approach much like Hitman Blood Money or most notably the Thief Series. 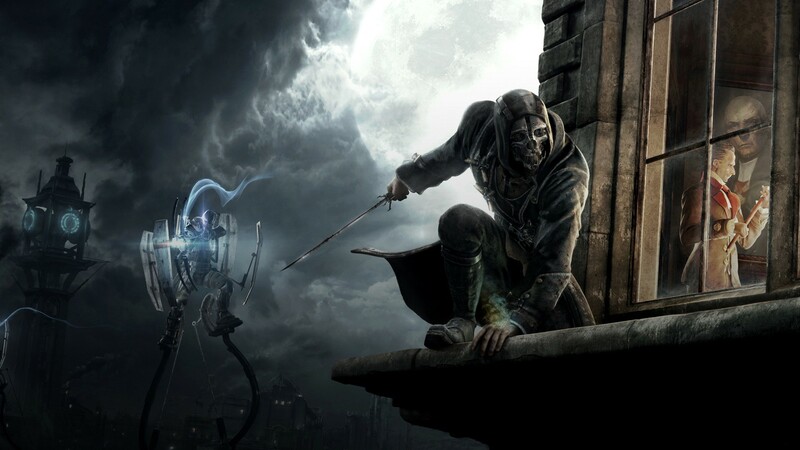 Our Protagonist is Corvo Antano a bodyguard for the empress of dunwall who has recently come back from an assignment to try and find a cure for the rat plague that has hit the city. 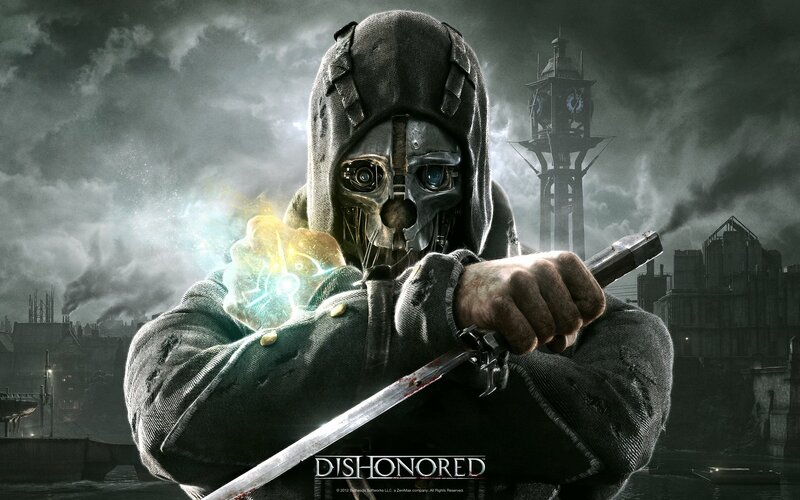 However things take a turn for the worst when the empress is murdered and her daughter is kidnapped, Corvo is framed for it and goes on a quest to clear his name meeting many characters along the way. The games writing does its job for what it is trying to achieve even throwing twists to the plot to keep you interested. The big problem with the story is the characters, they feel one dimensional (with the possible exception of the outsider) and opportunity is missed when you go back to your base to characterise them further. As for the look of the game people say it is a moving painting and I agree. The game is beautiful and has a certain cartoonish style while at the same time retaining the grime atmosphere you are in. 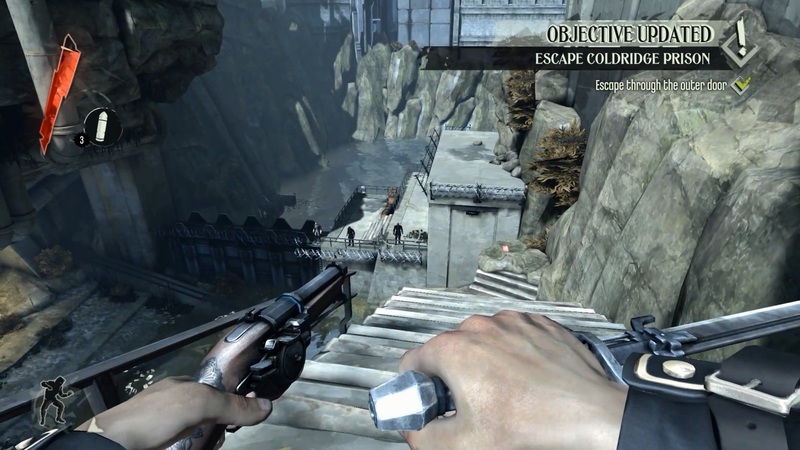 Now the gameplay, You control Corvo in a first person view and have the ability to climb ledges, use your sword, crossbow or gun and to pickup and throw objects to distract guards. So what makes this game different you may ask? Well throughout the game world you find runes that can be used to upgrade your dark abilities. You start off with a blink teleport allowing you to keep a fast pace by teleporting onto ledges, behind guards or into hiding places and can gain other abilities such as Bending Time, Seeing through walls, and possessing rats. So yes the game does have RPG elements to it as most games do these days but the small amount makes it easier to focus rather than having to cycle through 25 powers to get the one you want. One thing the game does have but constantly denies is a moral choice aspect this comes into play when you either choose to kill the target or do the non-lethal method as well as attacking the normal guards. This does have its advantages as later missions can play out differently depending on what approach you go for. For example I chose to do the non-lethal method on a target and when I got back to base there was a note from the family member saying thanks with a rune attached. In conclusion I would say Dishounred well worth your time if like me you prefer the open-ended stealth approach where if you screw up you can still get away however the game is a bit short with only 9 missions but there is a lot of replay ability with the moral choice aspect and there is confirmed DLC on the way.